Welcome to Vesecky’s Bakery on Cermak Road in Berwyn, Illinois operating for over 100 years. 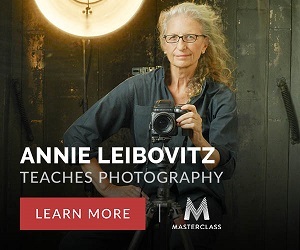 Isn’t that original sign fantastic?! With my extended family hailing from the Chicago suburbs, I’ve come to appreciate one of the most thoughtful gifts you can send someone whom is from Chicago: edible treats from Vesecky’s Bakery. If you’re from Chicago and Vesecky’s was not an institution in your family, it probably should have been and consider that hereby rectified. 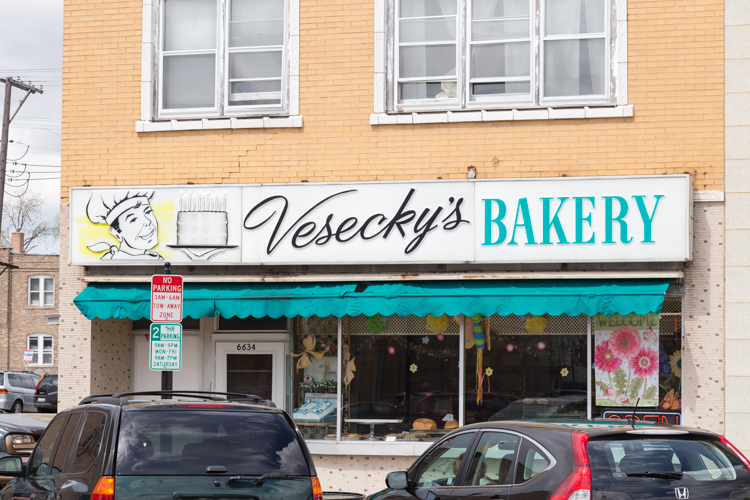 Vesecky’s is a small, 100-years-old authentic Czech bakery in the Chicago suburb of Berwyn, near Cicero and is certainly one of the last of its kind. 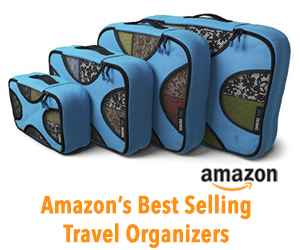 It is owned and operated by the fourth generation of the Vesecky’s family. These days it seems old things get plowed down for something bigger and better, but no place from the old days is more original than right here. It’s incredible to me that not only is this place still standing, but with one short phone call you can have their original recipe baked goods shipped to your door. 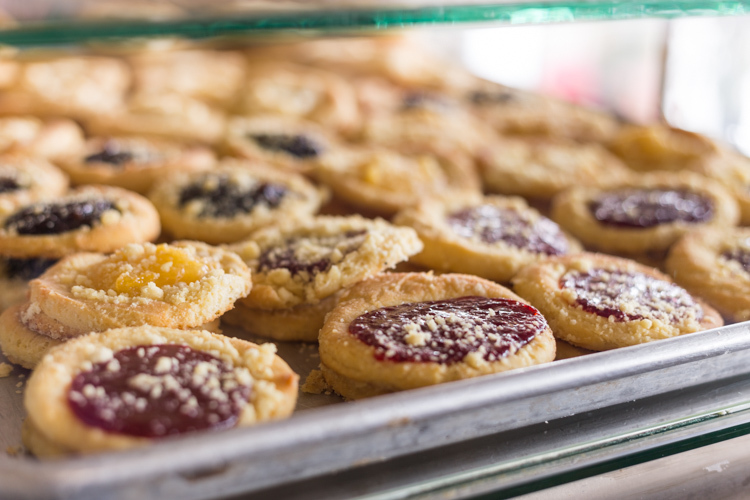 1 dozen kolackys of assorted flavors including strawberry, apricot, cream cheese and prune.1 loaf braided houska bread with almonds.1 coffee cake mixed flavors.1 dozen Cubs / White Sox / Blackhawks cookies because no city has civic pride like Chicago. 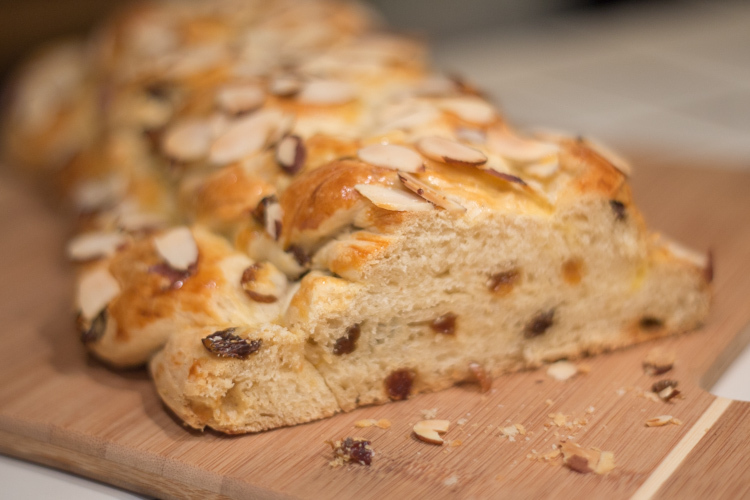 Houska, an old traditional braided sweet bread with raisins and topped with almonds. Best enjoyed toasted and buttered. 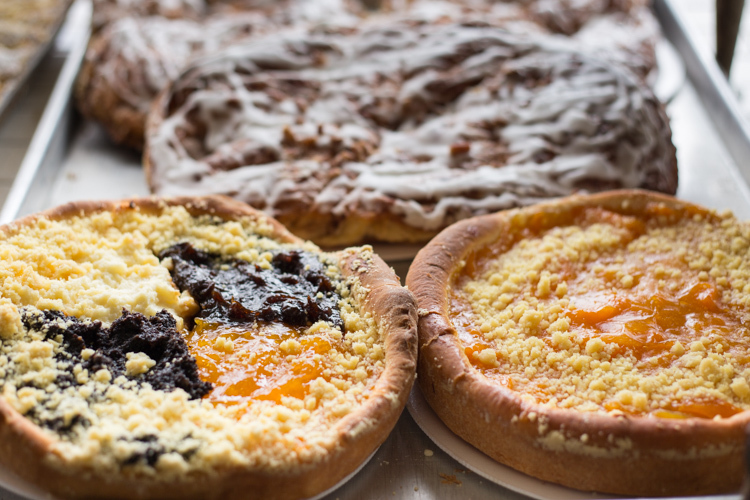 Vesecky’s best selling kolacky pastries; apricot filling on a bed of soft, flaky pastry… yumm!! Coffee cake with assorted flavors all in one! 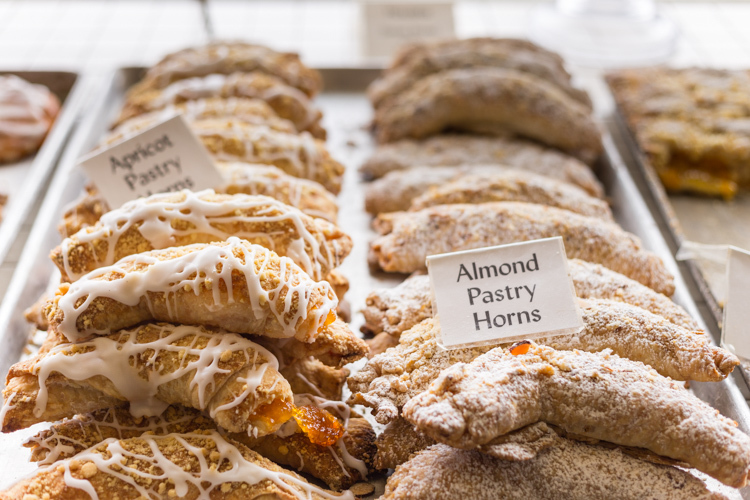 Apricot and Almond Pastry Horns. 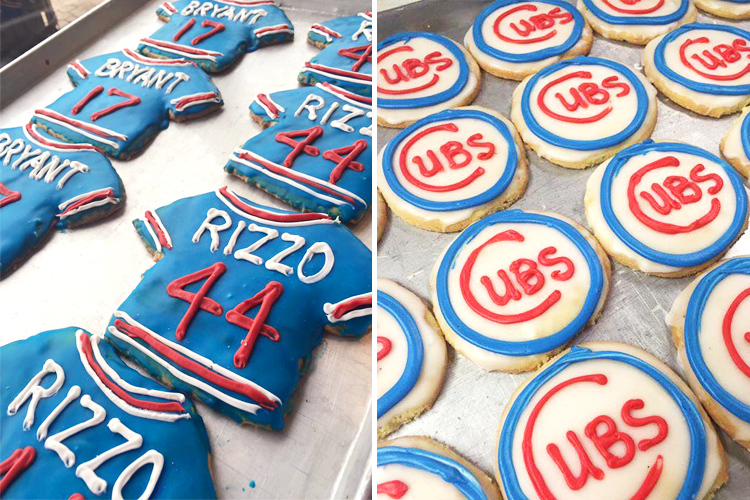 Chicago Cubs cookies, jerseys and all. 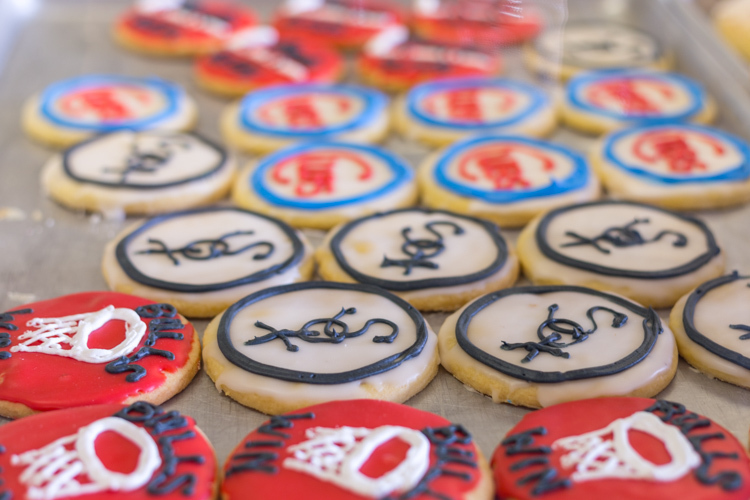 Anyone from Chicago would love a gift of their home team’s cookies. 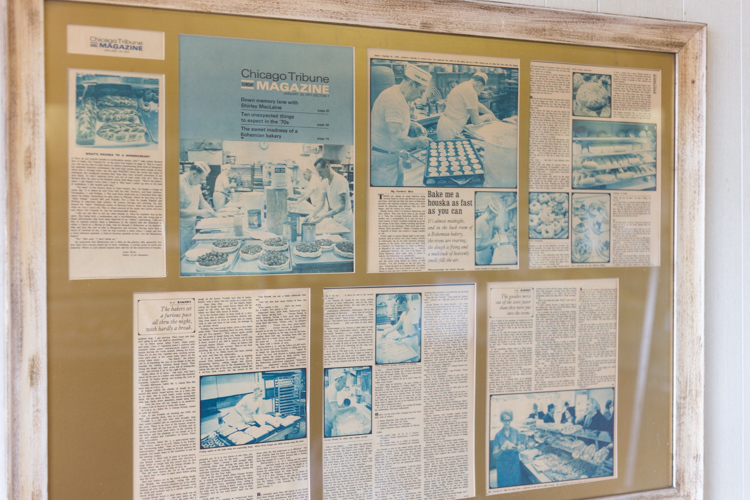 A 1971 feature in the Chicago Tribune Sunday Magazine about Vesecky’s Bakery, still hangs on the wall at Vesecky’s. 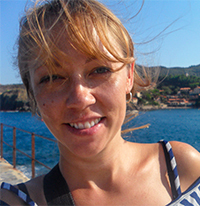 Contact Vesecky’s via email at nvesecky@gmail.com or call them at (708) 788-4144.